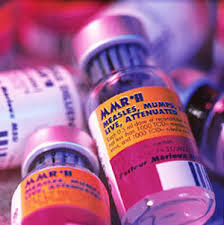 In 2004 the CDC released a study in the prestigious journal of pediatrics claiming that no link between the MMR Vaccine (measles, mumps and rubella) causing Autism spectrum disorder was found. the original article can be viewed at the journal of pediatrics if purchased. It is concerning that a large medical authority such as the CDC would publish a study knowing information has been purposely omitted. It is also concerning that many major media outlets are not covering the release of this whistle-blowers testimony. Did the CDC choose to omit information from any other studies? Translational Neurodegeneration is an open access, peer-reviewed journal that covers research, therapeutics and education for all aspects of neurodegenerative diseases. They seem to be one of the only journals that is expressing concern for these new revelations. The CDC has not made a public statement and seems to be ignoring the fact that one of their top researchers is claiming the data has been purposely manipulated. There should be a public statement made and I will update this post when I receive the CDC’s response. The technology to have blood sent to a lab and analysed under a microscope seems like the best way to make sure vaccines are safe. It seems like a simple solution to have all blood tested before receiving an injection but I haven’t seen a lab that will do this. I also don’t see our health care system providing this service even though it would be the safest way to vaccinate our population. In a society where peanuts kill some kids yet nourish others we must be much more careful what we put in our bodies. Vaccine technology has proven it’s usefulness and has saved many lives in the past. It seems like the evolution of this technology has led to a profit driven system rather than one solely based on health. Reblogged this on Speaking out as a Mommy.